(Minneapolis, MN) – Dangerous Man Brewing Company announced it will open the doors to its new destination taproom in Minneapolis, Minn., on Jan. 25. In its release, Dangerous Man Brewing Co. said the taproom will be the first of its kind in Minnesota and focus on high-quality beers with an ever-changing selection of taps. With no plans to wholesale, the Dangerous Man Brewing Co. taproom will be the only place to sample its beers. The taproom serves pints of beer, handmade sodas and also offers growlers of beer to go. 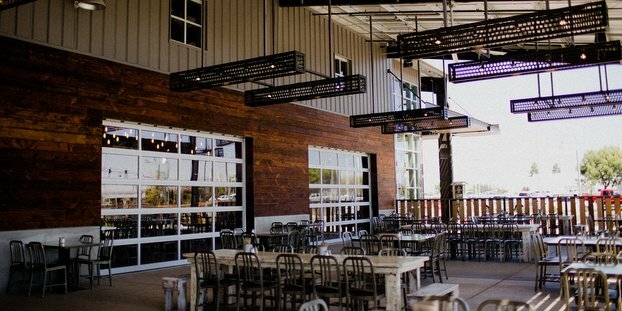 Featuring no commercial kitchen, Dangerous Man Brewing Co. invites customers to bring their own food from home or from one of the many fine restaurant options in the neighborhood. Dangerous Man Brewing Co. will initially be open from 3 p.m. to midnight Fridays and Saturdays with days and hours to expand in the near future. For more information, visit dangerousmanbrewing.com.